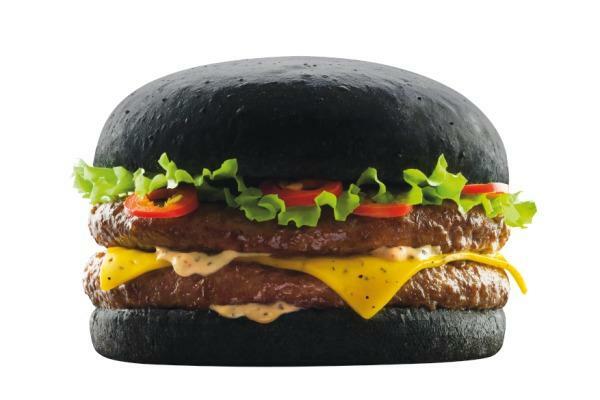 In some Star Wars related news, Quick (a Belgian fast food franchise, much like McDonald’s) have recently released the limited edition “Dark Vador Burger” (only available from the 2nd – 5th March 2012). The “Dark Vador Burger” is inspired by everyone’s favourite heavy breathing villian, Darth Vader, and is made with a uniquely coloured black bun. The soft charcoal coloured bun receives its ominous colour from black food colouring, which allows the bun to be black all the way through. Aside from the black bun, the “Dark Vador Burger” is made in much the same way as a regular McDonald’s Big Mac – two beef patties, slice of cheese, lettuce and tomato in-between. Opinions may differ on how delicious the “Dark Vador Burger” may be, but all of us at Vamers would most definitely give it try. If you are afraid that you cannot handle all the power of the dark side, you could always go the route of an apprentice and order the “Dark Burger” instead. This burger is inspired by Darth Vader’s Phantom Menace apprentice, Darth Maul, and has a paprika and beetroot infused red bun. Of course if your Midi-chlorian count favours the ‘light’, Quick have also introduced the ‘Jedi Burger’. As is usually the case the ‘good’ side is pretty standard and is made with a white bun and some funky shaped mozzarella cubes. Which side would you choose? Let us know in the comments below.